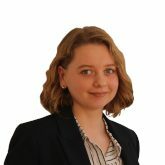 Anastasiia Starchenko was an intern at ISDP’s Stockholm Japan Center September 2018-March 2019. In 2018, she graduated with distinction from Tallinn University of Technology with a Bachelor’s degree in International Relations, specializing in Japan and East Asia security studies. Ms. Starchenko additionally holds a Bachelor’s degree in Law from Ukrainian Academy of Banking and has previously worked as a consular assistant at the Embassy of Ukraine in the Republic of Estonia. Her research interests focus on Japan’s global strategic leadership as well as challenges to regional security and cooperation in the Asia Pacific.